The Pioneer Valley Regionals were held in Northfield, Massachusetts this past weekend. 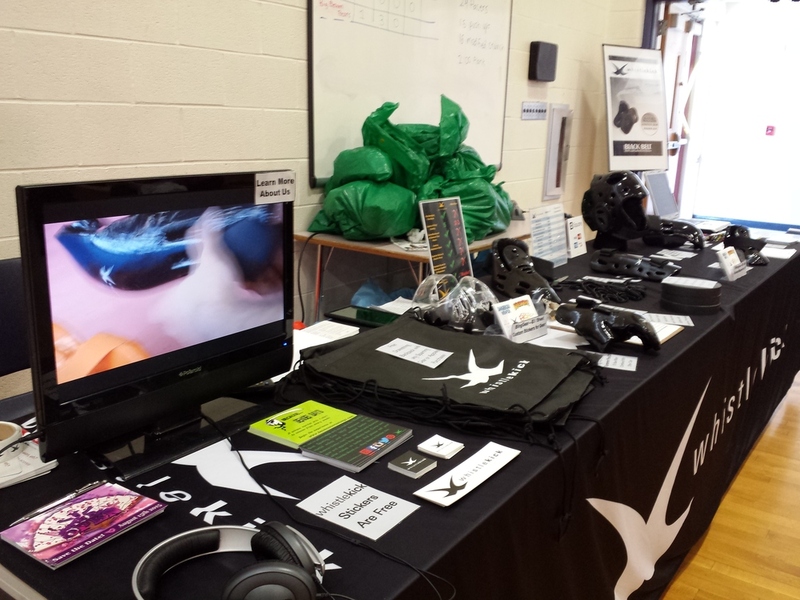 This was our first time exhibiting there and it was a great time. It's a smaller event, but some of the attendees were folks we hadn't met yet, so that was a highlight. This tournament was rated on the IPPONE circuit, so many of the usual suspects from that crew were around. 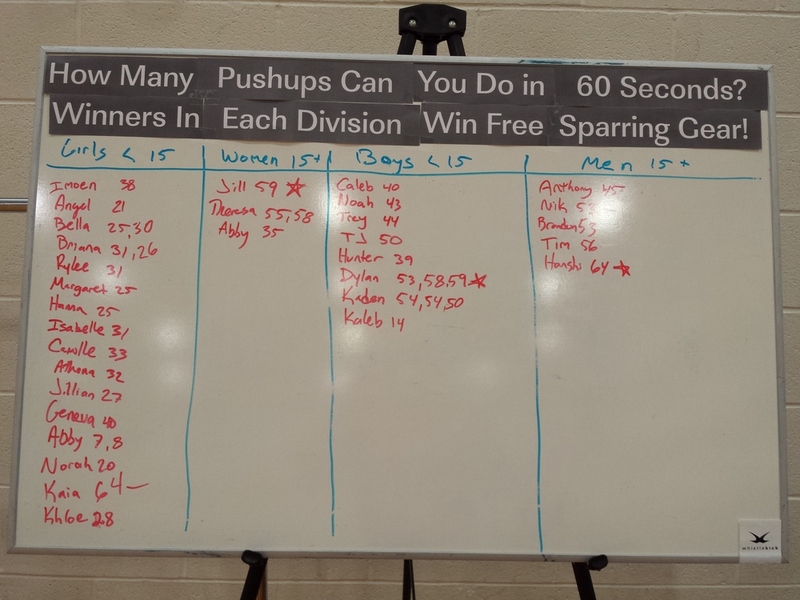 For the first time ever, the girls outpaced the boys in our 60-Second Push-Up Challenge. We had nearly twice the number of under-15 female participants as male. This was also the first time we've had so many people retry the challenge, forcing us to institute a new rule, limiting participants to 2 retries. We think their bodies are likely happy for that rule! Overall it was a fun event and one that was well-run. It was a beautiful day outside which likely kept some competitors away, but such is the challenge of running a tournament - you're at the mercy of the weather, no matter what the season. Lastly, this photo. Those of you that follow us on social media may have seen it, but it's too funny to not share again. 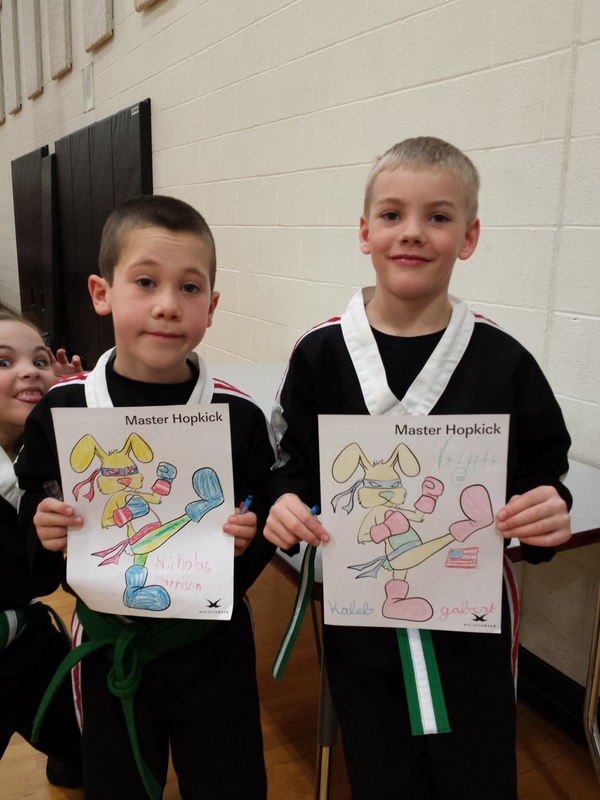 Here we had 2 members of Team Rapidforce quietly showing off their coloring of Master Hopkick when Rylee, a third member of the team, jumps in at the last second with the photobomb. I nearly dropped my phone. We'll be in New York this weekend and then back in Massachusetts the next. You can always see where we're going to be on our visits page.